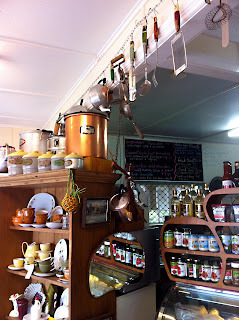 On a recent trip to the Sunshine Coast we stopped for breakfast in Yandina. A friend had recommended an organic cafe called Goodness Gracious. 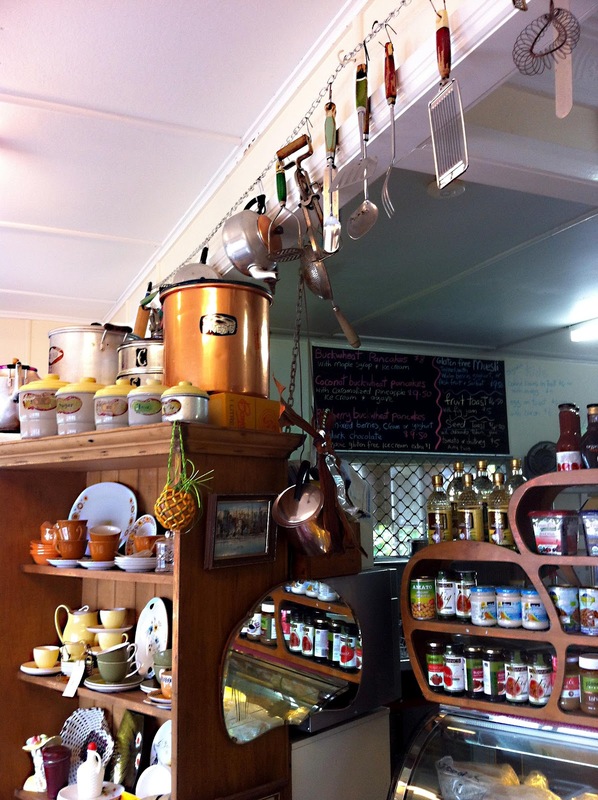 It is located just around the corner from the local Yandina pub. The cafe is inside an old house. The food is fantastic, but the thing we really loved about Goodness Gracious was that the owners are avid collectors and so the shop is stocked with great vintage and retro pieces. Homewares, lamps, art, furniture, collectables and bricabrac all for sale. We sat in the main part of the cafe surronded by hutches filled with pre loved treasures. There are separate rooms to explore and some gorgeous barsony lamps were a treat to see. We had a great time and will definitely visit Goodness Gracious next time we are up that way. 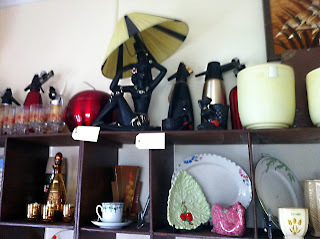 Lovers of organics, vintage and retro will love this place.